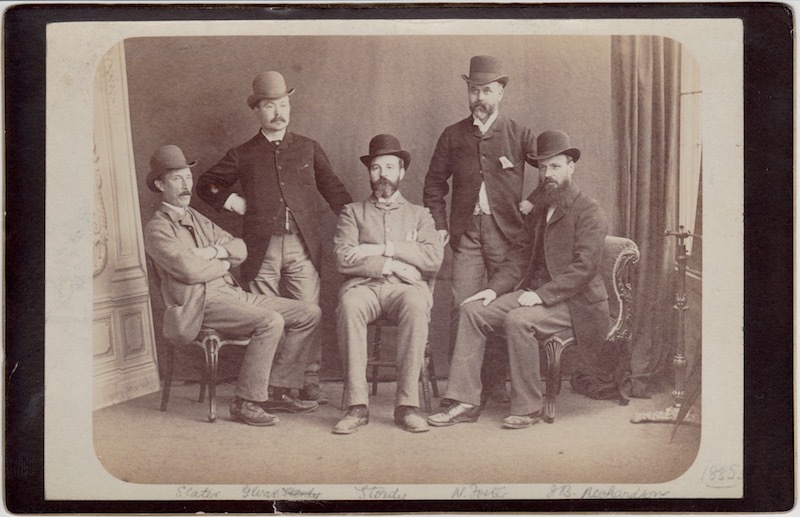 In the 1870's exhibiting dogs became popular, the Kennel Club was formed in 1873 and just after this time moves were made by Dandie enthusiasts to form a club. On 17th November 1875 at a meeting held at the Fleece Hotel in Selkirk in the Scottish Borders the Dandie Dinmont Terrier club was founded. The first task was to draw up a Breed Standard and Mr William Wardlaw Reid, a founder member worked on this, smoothing out the many differences and the following year at the Red Lion Hotel, Carlisle, the standard was agreed and adopted. The standard has changed little over the years. 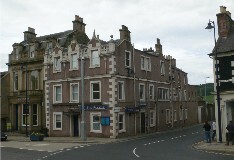 The first Club Show was held in Carlisle in 1877. After this the show was often held in conjunction with other clubs until 1928 when the Show returned to the Market Hall in Carlisle, where it stayed (apart from WWII when no shows were held) until 1982. From 1983 until 2000 (the 125th Anniversary) the show was held in the Carlisle area. In 2001 due to the difficulty in finding suitable venues the show moved south to venues in Lancashire and Cheshire. Quite a number of other Dandie Dinmont Terrier Clubs were formed in Scotland over the years but did not last very long, apart from The Scottish Dandie Dinmont Terrier Society, which merged with the DDTC in 1929. Today there are 3 UK Clubs serving the breed, The Dandie Dinmont Terrier Club, The Southern Dandie Dinmont Terrier Club and in Scotland, The Caledonian Dandie Dinmont Terrier Club. 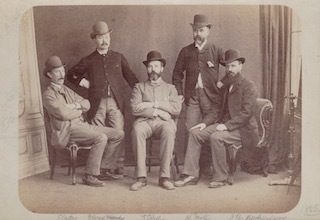 When first formed there were 2 joint secretaries of the DDTC, William Strachan of Linlithgow, Scotland and Hugh Dalziel of London, a well known journalist on Dog Matters in the 1870's. The current Acting Secretary of the club is Mrs Gill Mannia. In 2000, the club celebrated its 125th anniversary, this was celebrated with a long weekend of events held in Carlisle. Members from around the world including the USA, Canada, Sweden, South Africa, The Netherlands and of course, the UK attended. A plaque was unveiled at The Fleece Hotel, Selkirk, the venue of the foundation meeting by the Clubs late Patron Dame Jean Maxwell-Scott D.C.V.O of Abbotsford, a direct descendent of Sir Walter Scott, whose book Guy Mannering gave the Dandie Dinmont Terrier its distinctive name. Other events included a tour by Dame Jean around Abbotsford, Sir Walter Scotts home and a visit to see the restored tomb of James Davidson (Dandie Dinmont) at Oxnam Kirk and a visit to Hindlee Farm. The Club Archives are held by the Cumbria Record Office at Carlisle Castle.